Garden Karma bring you resort style living to your home. Garden Karma have in stock and supply detailed hand carved solid stone Buddha statues, Fu Lion and Guardian Lion statues by master artisans. We stock the finest quality hand carved solid stone Buddhist and Hindu inspired statues. 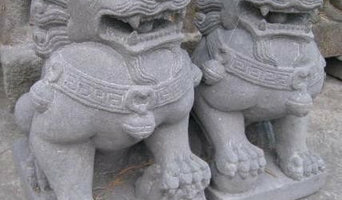 Our mission is to supply you the highest standard quality Buddha and Fu Dog stone art statues. Fleurieu Gifts creates living, beautiful gifts inspired by South Australia’s stunning Fleurieu Peninsula. Created by hand and gift-wrapped with care, all Fleurieu garden gifts show thought, style and charm. 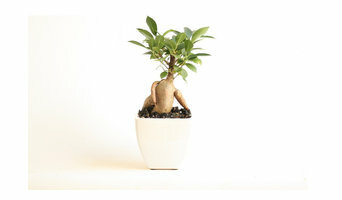 We deliver our living plant gifts throughout Adelaide and to most states in Australia. Where possible, Fleurieu Gifts sources our high quality materials from the Fleurieu Peninsula, so that your gift supports other local artisans, businesses and growers. In addition to our online store, Fleurieu Gifts holds regular workshops in garden and plant related topics, from kokedama making to choosing and caring for succulents. Our workshops are run by creator and designer Charlene Maney, who has over 20 years experience in teaching classes and workshops. We are expanding to design and installation of green walls, too. To keep up to date with this and all our projects, you can find us on instagram, facebook and pinterest as Fleurieugifts. 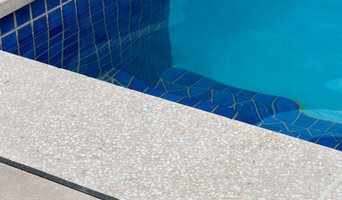 Customstone SA is a South Australian family business, producing a range of durable concrete large format pavers, pool coping and walling with the style and feel of natural stone. All products are manufactured in Adelaide and may be purchased from our factory at Elizabeth South, or from our agents who are scattered throughout the metropolitan area & country SA. We make to order but also have small quantities of stock available. Sail Shade World’s pre-made Shade Sails are the very best in the business! 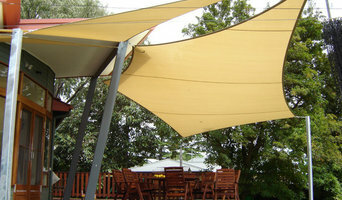 They are suitable for situations where temporary and semi permanent shade is required. Constructed from extra strong, commercial grade, 90% knitted shade cloth, our pre-made shade sails feature a 10 year fabric warranty against UV breakdown. Organics recycling We receive and process much of metropolitan Adelaide’s green organics through council kerbside and business collections, as well as food organics from hotels, supermarkets, schools, office buildings, food processors and manufacturers utilising our globally famous BiobiN organic waste collection and on-site processing facilities amongst many other collection methods. Landscape and garden supplies We offer a range of popular Peats-manufactured compost, soil and mulch products. They are available at numerous retail outlets across South Australia or provided directly to landscapers, civil contractors, schools and local government organisations. Horticultural products We cater to broad acre, vineyards, vegetable growers, orchards, nut growers and turf management specialists with our range of Australian Standard and NASAA certified organic compost, soil, mulch and top-dressing products. We use our unique Peats SSS™ (Soil Solution System) to tailor make the most ideal product that will maximise our client’s output and value. Philip purchased a Jim’s Mowing franchise in Melbourne in 1989, before purchasing the Regional Franchise for South Australia in 1990, becoming the first ever Regional Franchisor in the Jim’s Group. He subsequently sold over 500 franchises over the next 15 years, before selling the Jim’s Mowing South Australian Regional Franchise in 2005. Chesser Stone manufactures reconstituted sandstone products for homes and gardens, all locally and all by hand. For the garden we make urns, pedestals, obelisks, pots (some enormous) and planters, water features, garden edging, spheres (or garden balls) etc. For the home we make gate pillars and beautiful architectural details like window surrounds, keystones, corbels, quoins, finials and more. Carey Gully Sandstone is able to supply from small random wallers and bobcat wallers up to big stone wallers (1 tonne or more). Hurst's Plant Farm offers a wide range of garden supplies in St Millswood SA. At Western Pergolas 'N' Decks we deal with all your pergola, verandahs and outdoor patio needs. A full design discussion and the accommodation of all arrangements and board endorsements are a piece of our services. Feel free to talk with one of our expert plan specialists about your needs. We have an energising scope of choices to browse. Each of our design alternatives arrived in a range of hues and styles to suit your outdoor territory. Most of the professionals in this category specialise in particular garden and landscape supplies for your outdoor space, from planter boxes to water features. If you’re undergoing an upgrade, they are an invaluable source of knowledge and expertise. A Green Hills, South Australia professional who specialises in garden pots and planters, for example, will not only have a broad range of product available, but will know their terracotta, ceramic and concrete pots inside-out – and which one will best work for you!